For as long as I can remember I have been arguing that drivers' heads should be protected a lot better than they are. 30 years ago when designers had gone through a phase of moving the driver forward in the car, we ended up with the driver's feet ahead of the front axle line. This meant that in the event of an accident the driver ran the risk of serious lower leg injuries. Eventually the technical regulations were modified so that the driver's feet had to be behind the front axle line and a strengthened 'footbox' had to be installed. Because of this accidents that would have resulted in serious injury before became completely survivable. Of course, after this happened in Formula One it spread to other classes. 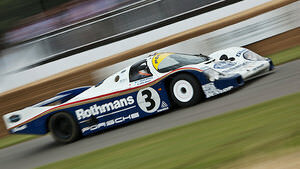 Group C sportscars were hugely popular at the time and even looked like threatening the supremacy of F1. The most successful and most common car was the Porsche 956 which had the driver sitting in what was known at the time as a cab forward position. Porsche then had to introduce the 962 which to all intents and purposes was identical except that the driver sat further back. Indeed two of the Rothmans-sponsored factory cars sat side by side at the Goodwood Festival of Speed and it was very difficult to spot any difference. It has always struck me as crazy that so much effort was put into protecting the driver's feet and legs while leaving his head exposed. It is beyond me how it is still acceptable to put the head at such risk when 30 years ago it was not acceptable to put his feet at less risk. Most people, when they decide to jump in a racing car, don't appear to give any consideration to the risks they are about to take. 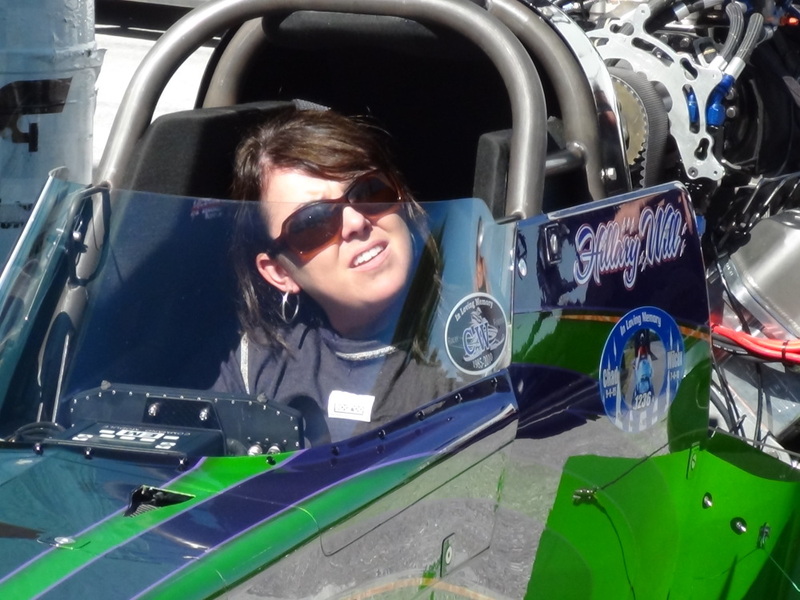 When I decided I was going to try racing many years ago I sat down and worked out all the things that could go wrong and seriously considered whether I was really prepared to take the risk. Nothing focuses the mind like sitting contemplating what it would be like to die in a race car or worse - what it would be like to end up paralysed from the neck down. I am a firm believer in the Jackie Stewart theory that dying in a racing car would be no big deal because you would be so busy trying to rescue the situation to worry about the consequences. On the other hand going from young, fit and healthy to not being able to control any part of your body would be a huge problem. I can't help thinking certain F1 drivers would be a lot less crash happy if they thought about what could go wrong in the detail I did. When I looked at the kind of accidents that could happen the one thing that worried me was the idea of going face first into something. There have been accidents in the past like those that killed François Cevert and Gerry Birrell where they went head on into armco and because the barrier had not been installed properly the bottom rail gave way when their cars hit it and they hit the top rail with their heads. I figured by the time I was looking at going racing that barriers would be properly constructed so the only way I could hit it face first was to get airborne and flip and have the nose of the car clear the barrier. Fortunately in the limited time I spent in a racing car I never got airborne and never had to watch a barrier come at my face. Everyone is familiar with some recent accidents where something came in contact with the driver's head injuring or killing them. Henry Surtees was hit and killed by a loose wheel. Many of us will remember watching Felipe Massa's Hungarian accident happening live on TV when he was hit on the forehead by a spring. Now we have had María de Villota's testing accident where in a very low speed crash her head came in contact with the tail lift of a truck. Of course there have been many other accidents throughout the history of F1 where better head protection could have resulted in the driver not being killed. Ayrton Senna was killed when a suspension arm pierced his helmet. Further back there was Tom Pryce's crash in South Africa where a young marshal ran across the track with a fire extinguisher and was hit by the car and Pryce was hit in the face by the extinguisher at 150 mph. Both were killed instantly. And of course those of us who watched the Indycar race in Las Vegas last year will never forget the enormous accident that ended it. Nor will we forget the drivers like Will Power who were saved from serious head injury and Dan Wheldon who was not. On the other hand we have the drivers who have suffered serious leg injuries who all seem able to have successful lives with their leg injuries apparently not holding them back at all. Johnny Herbert was on his way to a stellar F1 career when at Brands Hatch in 1988 Gregor Foitek collided with him causing horrific leg injuries. Despite his initial problems in F1, and the fact that he was never the same driver after the accident, his life has not been negatively affected by his injuries. His Sky colleague Martin Brundle, as he reminded us on race day at Silverstone, has Professor Sid Watkins to thank for still having a left foot but even after his accident he drove 150 GPs and won the Sportscar World Championship and the Le Mans 24 hours. Indeed he raced at Le Mans a few weeks ago and has since signed up for other races. Martin Donnelly is still around despite his Lotus splitting in half and dumping him on the track. He still walks very badly as a result of his leg injuries and while he never sat in an F1 car after that day he has raced in other classes. Of course no discussion on racing leg injuries would be complete without mentioning the living inspiration that is Alex Zanardi. Most people who had suffered injuries like he did would have crumbled. Instead he drove himself and his family home from the hospital in a car with special hand controls. Since then he has won marathons and will represent Italy in the Paralympics. Beyond all his other achievements Zanardi, it is rumoured, even brought a tear to the eye of Michael Schumacher and everyone else in the room at the FIA presentation. Since the changes made to protect the legs of drivers have been such an overwhelming success we need to consider what could be done to make the heads of drivers equally safe. For me the first thing that has to be considered is crash helmets. While it is only right that everything possible should be done to make the helmets as strong as possible it has to be remembered that in the end the helmet and the head inside it are perched on a tiny little bone in the neck that is not designed to take any kind of load. So the helmet is really the last line of protection rather than the first. So somehow we need to design something to protect the crash helmet. The helmet is really the last line of protection rather than the first. We need to design something to protect the crash helmet. The FIA has carried out tests on fighter plane canopies. If it was possible to create a canopy that was capable of stopping items like wheels, springs etc from coming in contact with the driver's head it would be a huge advance. Unfortunately it is a very complex exercise to make a canopy capable of dealing with all the possible accidents. I think a canopy will not work without some arrangement of bars inside it. Canopies are fine on fighter jets but there if something goes wrong the pilot detaches the canopy and parachutes (hopefully) safely to the ground. F1 drivers do not have that option. I have always believed that something like the head protection of a Top Fuel dragster should be incorporated into F1 and other cars. If Henry Surtees had been in a car with such a device the wheel that killed him would simply have bounced off. This type of roll cage does a very good job of protecting the top and sides of the head but not the front. I would expect that it is a comparatively simple matter to fit a canopy or screen to the front of the bars to make a very strong protector for the front of the driver's head. Of course protecting the head is only part of what any car modification would have to do. Whatever device or construction that you add has to have near total structural integrity so that it does not deform at all because after the accident the driver still has to be able to get out of the car in 5 seconds. Canopies are a bit like gullwing doors on a road car. They look very cool, they have certain advantages but if you are upside down in a car fitted with either you are screwed. There is no way for you to get out. For me something like the dragster cage with a very strong windscreen on a front roll hoop would be the best option. Alternatively of course we could go the whole way and put a roof on the cars. Gordon Murray who has designed the odd championship winning car and the revolutionary McLaren F1 road car long ago proposed a new F1 formula which replaced the current open cars with small coupés. I think there are a great many advantages to the F1 coupé including greatly improved driver head safety. Of course there will always be people who will argue that civilisation will end if the heads of F1 drivers are not exposed or that F1 would not be F1 if a roof was put on the car. 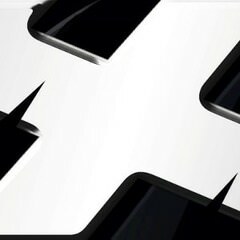 We have heard these arguments in the past over a range of things but F1 still seems to be F1 as far as I can tell and the same would be true if the cars had roofs or the heads of the drivers were protected in any other way.